What a unique concept! You need to wait while you do your laundry so why not grab a great meal and a pint or catch up on the news while your clothes are in the cycle? 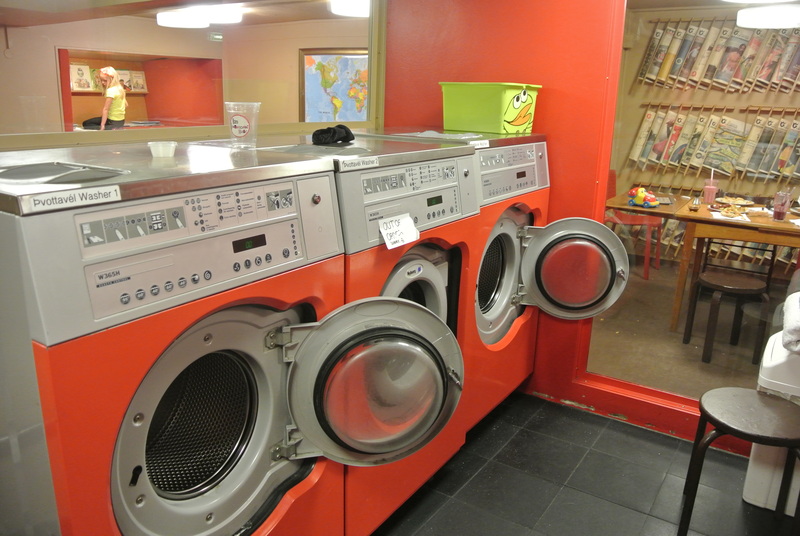 Although the idea of the laundromat is dying in North America as most homes and condos are equipped with private laundry facilities, I thought this was brilliant! 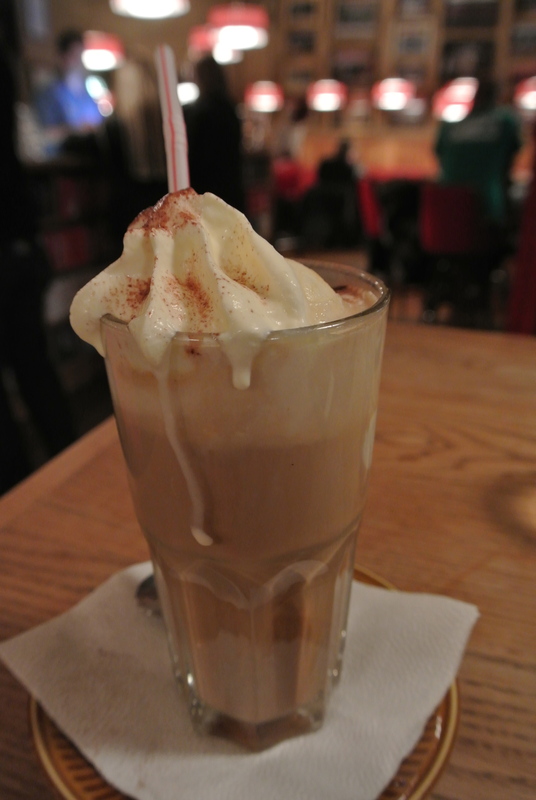 The Laundromat Cafe is housed in what looks like a heritage building and has a very casual yet hip vibe. 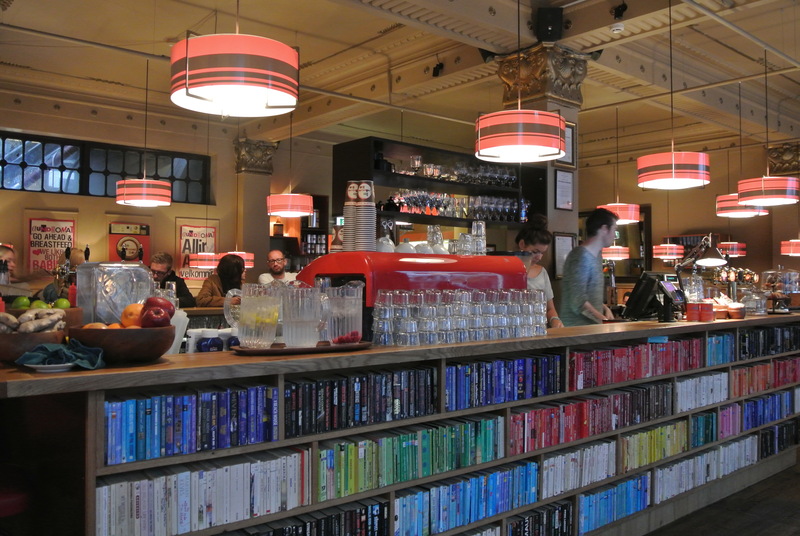 The bar is made of bookshelves lined with all kinds of literature and the servers are friendly, always willing to chat. 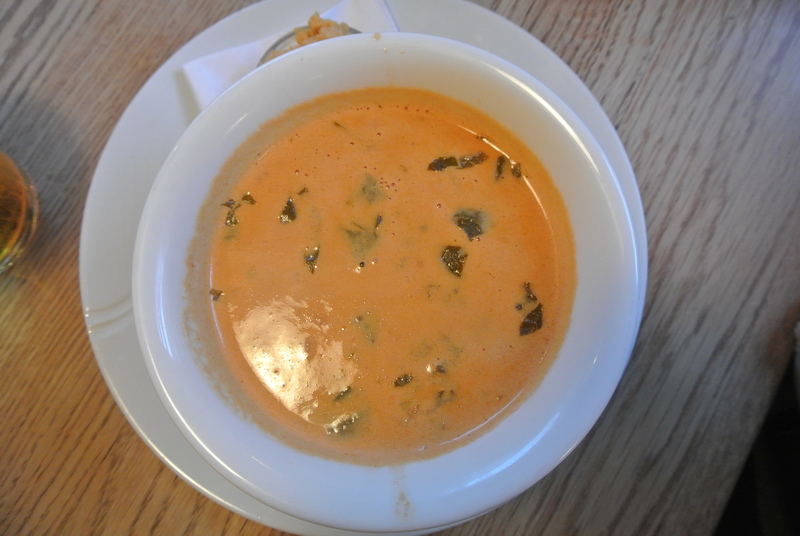 And the food….is fantastic! Who would have thought, high-end cuisine in a place where you come to wash your undies! 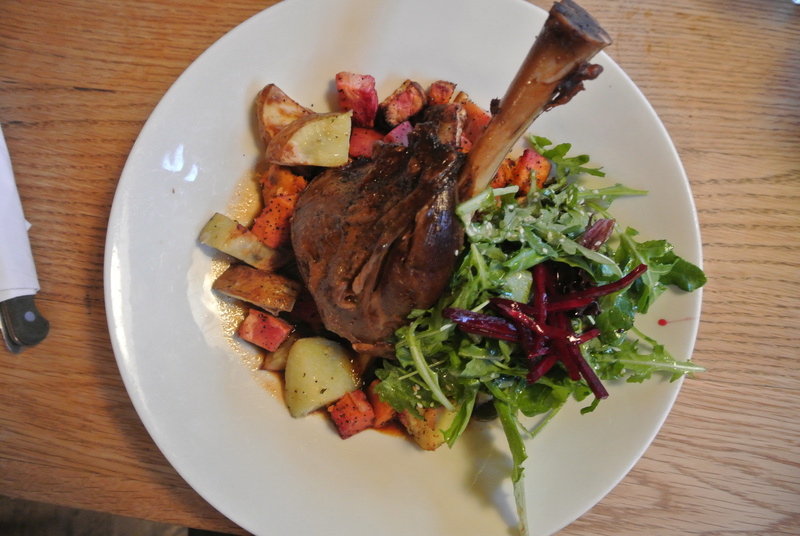 I saw lamb on the menu and I had to have it – it was fall-of-the-bone lamb shank with roasted vegetables and a light green salad. It was delish! Such full of flavour, you can tell it was cooked low and slow. But for me, the best part was the dessert! 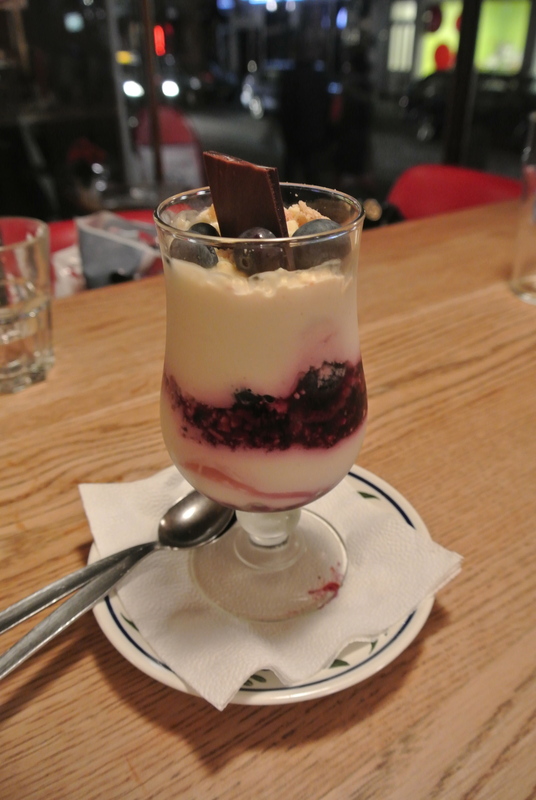 Skyr with wild blueberries – it was so thick and rich, like a greek yogurt. 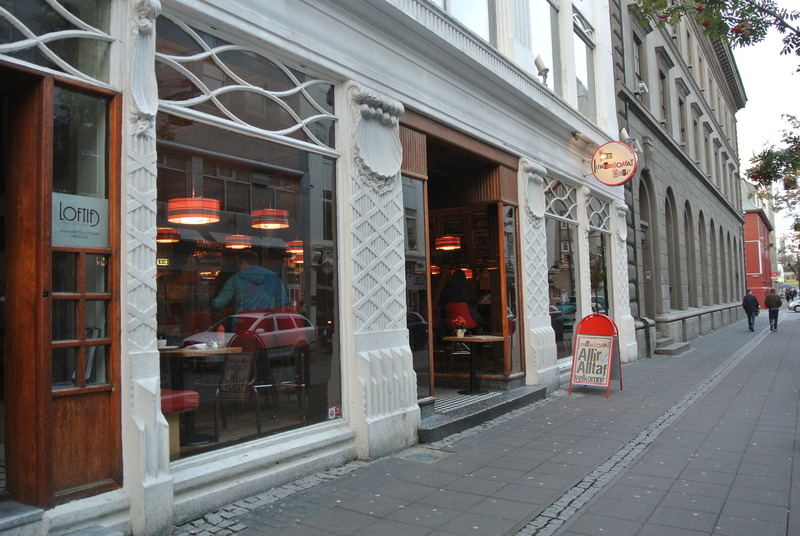 If you’re ever in Reykjavik, this place is a must visit to dine in! 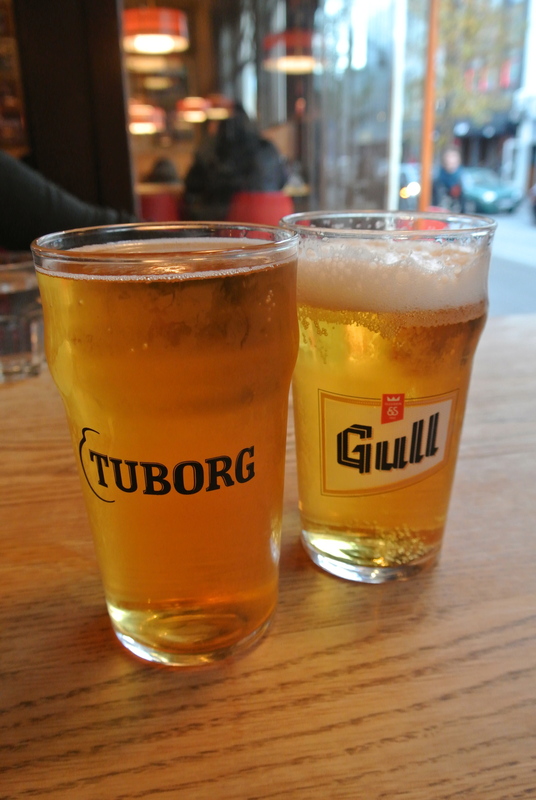 Some more Icelandic beer – Tuborg and Gull. 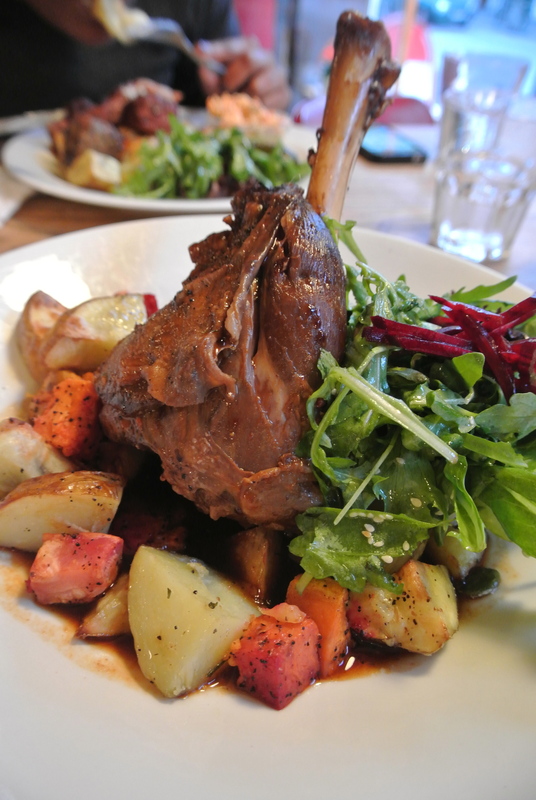 Close up of the lamb shank. Skyr dessert with wild blueberries. Laundry machines available in the basement of the cafe. 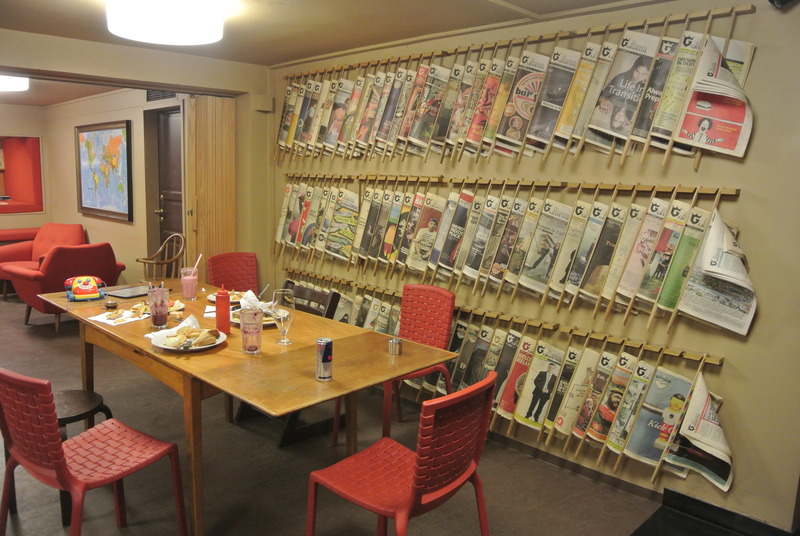 Reading room area while you wait for your laundry.